Wearables continue to dominate the top category spot for promotional product popularity across the industry. A 2107 consumer study conducted by Promotional Products Association International (PPAI) found that promotional products were ranked highest by consumers across all generations as the most effective advertising vehicle, edging out social media and other more traditional advertising mediums. The study also found that one in two consumers said they walked around with a promotional product such as a wearable item or a pocket product. About 50% of men and 46% of women said they have worn a promotional item. In addition, 82% of consumers agreed their impression of a brand positively changed as a direct result of receiving a promotional product. Keeping on top of the trends is an important factor the industry considers when introducing new wearable products to the market. Some major trends for 2017 focus on design, style and color in order to appeal to the end user. Get the latest Callard content straight to your inbox on our email newsletter. RayBan, Uggs, Maui Jim, Fossil, Michael Kors, Nike, GoPro, The North Face and Beats by Dre are highly recognized brand names that can add excitement and create a lasting impression on guests invited to your next event. 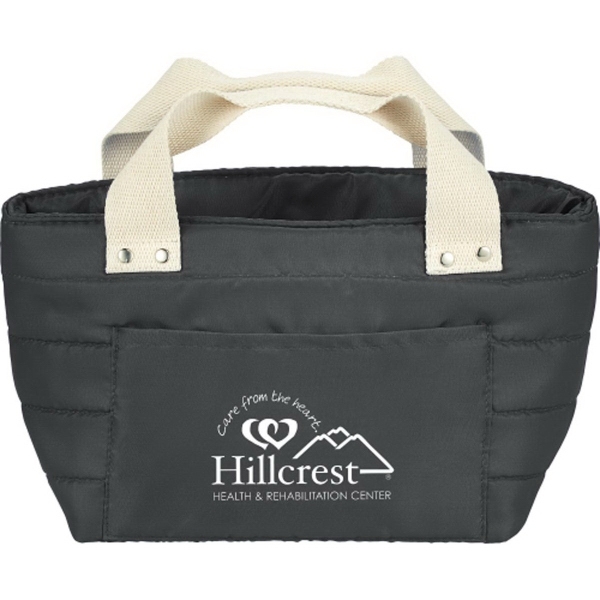 Brand event gifting is a unique way for corporations to reward employees or customers in a personal manner by sponsoring brand name gift events during a corporate meeting or occasion. Each attendee is provided the opportunity to select and/or customize a name brand product to take home. Callard Company can work with your corporate event planner or manager to bring a memorable branded experience to your next event. March is synonymous with basketball. As the month ends and our bracket picks have gone bust, we thought it was a great time to feature the wide variety of styles and colors available in athletic apparel. Together, Team 365, Champion, FLEXFIT, and AL0 SPORT make up a complete collection of 121 styles and 21 team industry approved colors. Perfect for your company team. Any coach knows one of the greatest challenges in ordering team apparel is meeting a large range of sizes. Our line can be ordered in Men’s sizes XS to 4XL and Ladies sizes XS to 3XL. The top color contenders in the line begin with the basics as the color white takes the top spot followed by black and graphite (cool gray) placing third. * Roach, John (2005 18, May) In Sports, Red is Winning Color, Study Says. Retrieved from http://news.nationalgeographic.com/news/2005/05/0518_050518_redsports.html. To see the complete TEAM 365 line click here. National Volunteer and Donor Appreciation week is April 6-10. At Callard Company, we celebrate the people who dedicate their time and resources helping others. One of Callard’s core values is giving back to the community, that’s why we were excited when one of our clients at LBrands told us about a local program called Life Town. The program provides children with special needs a place to practice important life skills like making and keeping appointments, visiting a library, applying for jobs and following the rules while biking on a smooth service that surrounds a small lifelike community. Callard employees recently spent two consecutive Friday mornings helping out at Life Town working in various roles. During our first visit, students from the Sterling and Utica school districts visited the facility. Everyone who attended and helped out raved about the program and the students who participated. Both Amy and Mary said the whole experience was fantastic and would highly recommend this program to companies looking to give back to the community. We’re all about quality and reputation. You just can’t have one without the other. It’s our guiding principle when we come to work each day since we started back in 1987. Ask Owner Michelle Guetle and she will tell you that at the heart of the Callard experience, we are passionate about who we are and who we work with. Our passion in what we do drives our work, plus we have enormous fun while doing it!